The role of geology in art is mercurial, and is somehow mysterious. Part of my research is dedicated to the exploration of this mercurial relationship, as exemplified by my book “Geology in Art”. My research revealed that the science of geology emerged from the cultural phenomena that happened in the Renaissance, with particular regard to the advancements in arts. Since Leonardo times, art has been a passionate way to express geology. In fact, as evidenced by numerous examples of “Geologic Art”, the artistic language presents geology with a warm and emotional look. As regards Geologic Art, particularly worth of note are Visual Arts and Leonardo is one of the most representative artists dealing with geology. Leonardo correctly represented layers and folds but he was not the only Naturalist to cover Earth Sciences: fossils and minerals were widely described and depicted by Gesner, Agricola and Aldrovandi. Notwithstanding the importance of the Naturalists, geology and art are connected since Paleolithic while vertebrate fossils are represented by Mesopotamic and Greek-Roman cultures. In more recent times, Earth Scientists themselves inspired works of art: Spitzberg’s “geologist” is an actual Romantic masterpiece. The geologists of the 18th-19th century were frequently pictured (i.e. Bone Wars watercolours) and their discovers inspired outstanding lithographies, like the primaeval landscapes of Riou and Harder. The career of many palaeontologists started with the evocative paintings of Moraveç ¡nd Burian, pillars of contemporary “Geologic Art”, which nowadays is very diversified: we have visionary sights (i.e. Troll, McClabby), realistic ones (i.e. Bakker, Martin, Carr) and even humoristic approaches. In fact the geologist and artist Ortolani is the author of the character “RatMan”, which ruled the Italian comic scenes. Geological Art is not only Visual Art: many musicians took inspiration from geology, covering very assorted genres, going from blues (i.e. “Devonian Blues” by Troll) and classic (“Burgess Shale” by Steiger) to heavy metal (“Trilobyte” by Mastodon). Fossils shape and stratigraphic sequences has been sonified by Ekdale and Tripp. 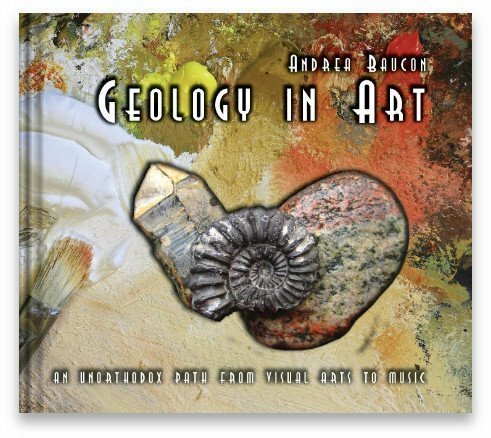 The mentioned examples shows how Art can communicate appealingly geology: therefore I am supporting visual and audio elements for promoting geology. Walking along the line of continuity between science and art is an emotional way to express geology!